Business administration is a first-level discipline in management science category. It mainly focuses on the research and studies related to modern production and marketing, technology, economy, and social development. It obtained the authority of granting doctoral degree in 1998. This discipline has established in-depth cooperative relationships with Harvard University, Wharton Business School, Kellogg School of Management of Northwestern University, Cambridge University, ESSEC in France, Mannheim University in Germany and Hong Kong University of Science & Technology. It inherits the tradition of management discipline of Tongji University, i.e. pursuing the truth and being practical. This discipline has become a research platform for major projects of Ministry Science and Technology of China, a training basement for entrepreneurial management talents and start-up talents, a consultant center for national public projects and Fortune 500 companies in the world and in China. 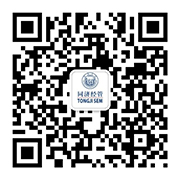 In virtue of Tongji University’s solid science background, it has made many achievements in modern business administration these years, especially in the management of automobile manufacture and sale enterprises, construction enterprises, and real estate enterprises. The talents cultivated by this discipline have good academic abilities and comprehensive competencies, obtaining high evaluations from their employers.